I have the type of skin that erupts in red patches after swiping on daily moisturizer. When I'm cold, the center of my face—namely my nose—resembles that of a certain reindeer. Hot? It's even worse. Let's just say that after ninth-grade gym class, my friends would stop me in the hall to ask if I was okay and force me to drink water. I had to kindly (and embarrassingly) explain that no, I was not dying from extreme heat stroke; my face is just this red. No amount of concealer or foundation could hide it either, so that was the year I accepted it: I was indeed cursed with irritable, blotchy skin. Now that I'm in my 20s, the problem is still present, though more manageable. I have my trusty redness-disguising concealers and color-correcting sticks (for the sake of specificity, I love the E.l.f. color-correcting sticks, $4, which are super affordable and super efficient). But I still yearn for that cure-all tone-correcting product. That's why I thought it was time to try a few redness-relieving treatments. Instead of a temporary fix, these five products nourish, calm, and cure skin woes for improvement over time—all while targeting that loathed redness. Keep reading to see a handful of products that promise to cure your red skin woes. This product was the first I tried. I was initially drawn to the concept of low-maintenance color-correcting; it's nice to have a product that targets each type of skin discoloration in one bottle. With other color correctors, I need a green version for redness, a lavender version for sallowness and dullness, and a peach version for blue under-eye circles. It can be overwhelming (and expensive). With this one, I simply pumped out a dime-size drop and spread it throughout my T-zone with a damp Beautyblender. Then, I went over it with my Revlon Colorstay Foundation ($13). The results were subtle yet noticeable. The angry redness that usually accompanies my makeup application was significantly reduced. My skin looked brighter and livelier. Although not all of the redness disappeared, my skin was vastly improved. An added bonus was that I felt better about putting this color corrector on my skin. Other versions are heavy, thick, and pore-clogging. This one, however, is lightweight and dewy. It has Stila's special Youth-Revival complex to improve skin tone, fine lines, and wrinkles. What can I say? I'm a sucker for makeup that doubles as skincare. 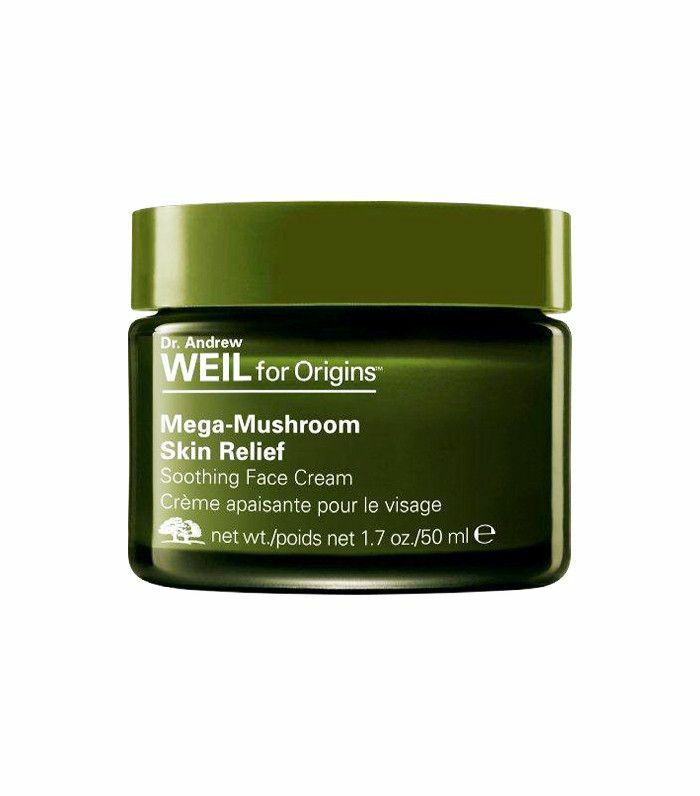 Before reviewing this product, I must admit I love Dr. Weil for Origins products. Ever since using the brand's Mega Defense Barrier-Boosting Essence Oil for an experiment in anti-pollution skincare, I've been hooked. So as you can imagine, I had high hopes with this one. This facial cream promises to reduce redness and irritation both immediately and in the future, providing anti-aging benefits along the way. It uses ingredients like mushroom extract and narcissus lily bulbs to accomplish this. First things first, the texture and scent are luxurious. It's a heavy, decadent cream that smells of earthy florals. I didn't mind the scent, which surprised me, as I'm usually privy to unscented products, like Kiehl's Ultra Facial Cream ($28). However, the formula is gentle enough that the fragrance didn't irritate my skin at all. The results keep getting better. After a few days of using this facial cream both morning and night, I can honestly say my skin looks healthier and feels strengthened. It didn't provide results that were as immediate as other products, but I plan on using this long-term to target the root of my redness issue: irritation under the surface of my skin. 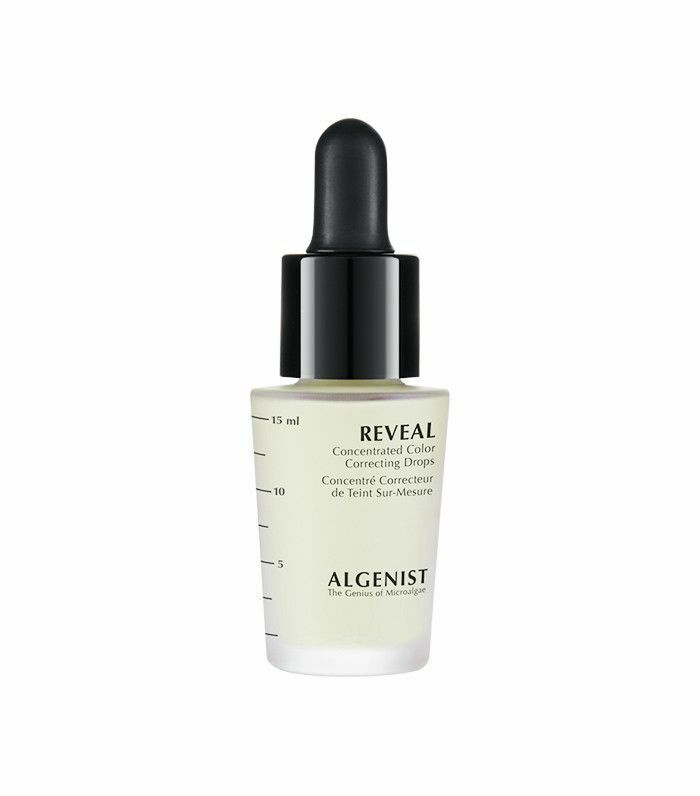 Algenist's redness-relieving color drops are infused with green micro algae to treat the concerns of uneven skin tone. Simply squeeze a few drops in your makeup or skincare of choice, then apply. When I tried this product, I added two droplets to a dime-size amount of moisturizer. Then, I applied the moisturizer all over my face, concentrating on my T-zone (where most of my redness originates). The pigment is concentrated; it calmed my redness immediately. It also left my skin seriously smooth. There were no harsh lines or rough texture; it felt incredibly lightweight. In fact, it felt like a primer. This is one I will definitely be incorporating into my daily makeup routine—my redness disappeared, and I couldn't stop feeling my smooth, hydrated skin. That's two thumbs-up for me. 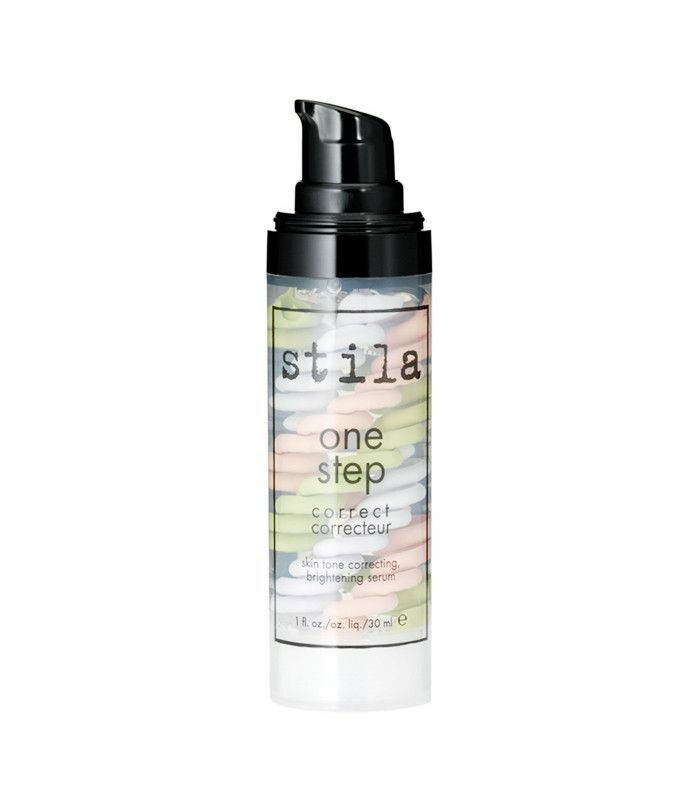 Although I was excited to try each of these color-correcting treatments, I was giddy (i.e., desperate) to get my hands on this one. The second I heard about this launch, I was intrigued, to say the least. The product is inspired by the true legend of Asian tigers rolling in Centella Asiatica grass to speed up the healing of wounds, and its active ingredient has historically been used in treating inflammation, redness, and blemishes. If that's not promising, I don't know what is. When I uncapped the jar, a green-tinged paste sat inside. Suddenly, I was nervous. Smearing green all over my face didn't seem safe on a full day of work and errands. But for the sake of experimenting, I put my fears aside. Almost as soon as it touched my skin, the color transformed from pale green to beige. I think I let out a squeal of excitement. The redness all but disappeared from my skin. It stayed that way too. Up until I washed my face before bed, my skin remained uncharacteristically calm and even-toned. The only downfall was that it made my face appear slightly pale. But have no fear—a quick swipe of bronzer was a minuscule price to pay for the redness-relieving results. The fact that it has dust barrier technology and SPF 30 sun protection along with stunning complexion results means that I'm with this product for the long haul. This product promises results similar to its Origins counterpart. 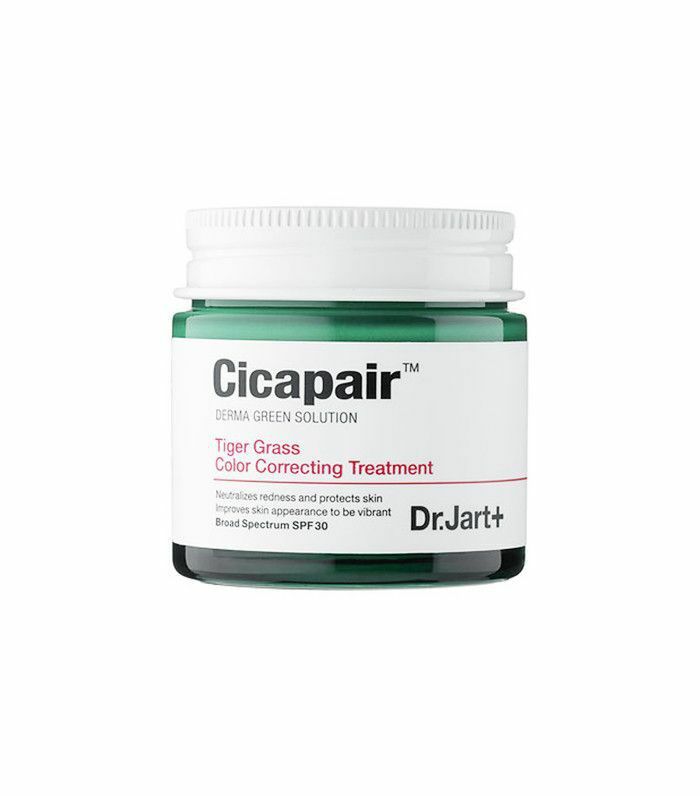 It's a twice-daily treatment that soothes and calms skin to rid it of irritation and redness. 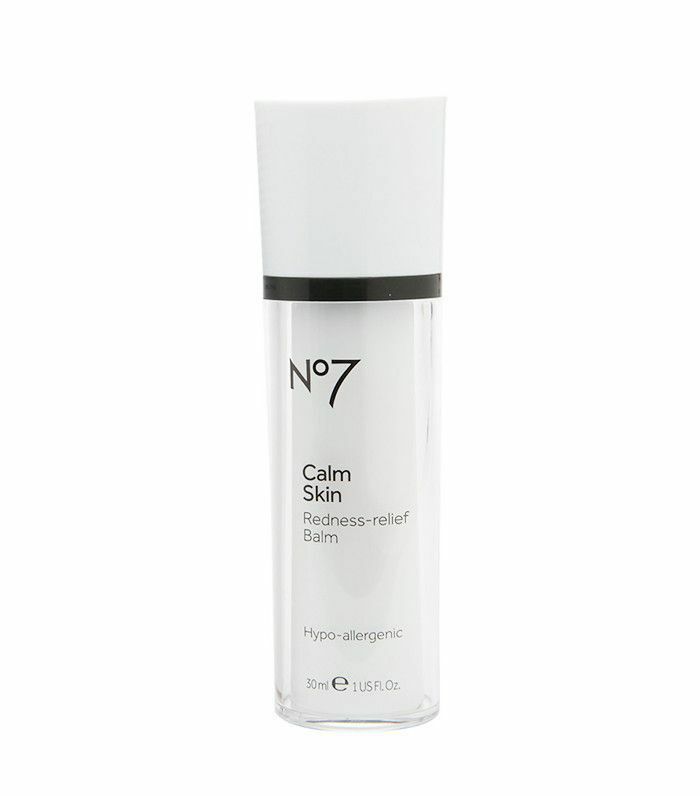 One of its main ingredients is licorice root extract, which is shown to massively improve skin quality. Ceramides, peptides, and emollients are also present. After cleansing, I applied this morning and night. I added a touch of moisturizer, then went on my way. The results weren't immediate. My skin still looked blotchy and red after I applied moisturizer. However, after a few minutes, my skin was definitely soothed. Redness vanished, and I forewent foundation in favor of a little concealer here and there. (That's saying something. Normally, I rely on daily foundation to disguise the tomato hue of my irritated skin.) For each day I used it, I was content with my skin. I didn't feel like I was disguising redness; I felt like I was curing it. Since I've only been using it for a week, I'm excited to see my skin's improvement in weeks to come. Next up, learn about the fastest way to even out your skin tone, according to top dermatologists!